It's not a good winter car. It's a light blue mini cooper s, Its a 6 speed standard. It gets about 22-23 miles to the gallon in gas. I love my mini! There are a few things I don't like about it though and they are Its only a 2 door hatchback, and It's hard to get in an out of the back seat. It is an awesome little ride for the summer but if you live where you get snow than it does not do good in the winter, Its front wheel drive, but it sits so low to the ground that you rub on the snow or ice. It's got new low profile tires all the way around, It's been sitting for about a year. I've been starting it, oil has been changed and It's even now got a rim less spare tire. It needs the stereo hooked backup, it needs a new bumper also because of the snow. But I really do enjoy my mini, id just like to get a 4 door an a better color. It is amazing in terms of gas mileage despite its old age. It is made to last a long time and I haven't had to replace anything major despite how long I've had it. The small size also allows me to get through traffic easier. I love the seats because of how it seems I'm protected rather than just sitting on a cushion and the fact that I can push the back seats down when I need more space to move things (and trust me, it surprisingly fits a lot). It responds readily and has been the most reliable vehicle ever. Perfect for my college student life and getting around. Mini cooper is 14 and still kicking. My 2004 mini cooper has been an extremely reliable vehicle over the years. Lately it has encountered some minor issues such as valve and gasket leaks, as well as more costly issues such as air conditioning malfunction, stereo amp not working, etc. Living in Florida makes the lack of a/c a huge issue and not having a radio makes my commutes rather dull. 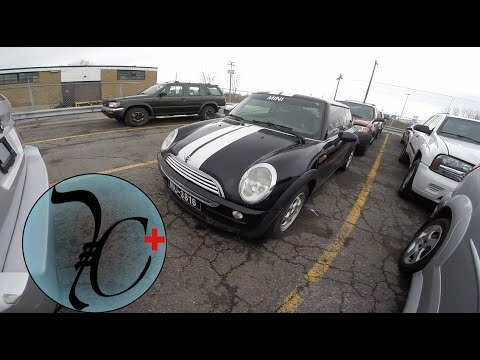 For a 14 year old vehicle I believe my mini is still in great condition as far as reliability, but the comfort features are definitely wearing down. I would definitely buy this car again if given the chance. Buying a used Mini Cooper S, everything that broke so far. ON CERTAIN PASSENGER VEHICLES, THE FLAT TIRE MONITORING SYSTEM HAS NOT BEEN CORRECTLY PROGRAMMED. IN THE EVENT OF A FLAT TIRE, AN AUDIBLE SIGNAL WILL NOT SOUND TO ALERT THE DRIVER TO A FLAT TIRE. DUE TO THE LACK OF AN AUDIBLE SIGNAL, THE DRIVER MAY NOT BE AWARE OF A FLAT TIRE, WHICH COULD INCREASE THE RISK OF A CRASH. DEALERS WILL REPROGRAM THE VEHICLE'S SOFTWARE IN ORDER TO ACTUATE THE FLAT TIRE MONITORING SYSTEM'S AUDIBLE SIGNAL. THE RECALL BEGAN OCTOBER 13, 2004. OWNERS SHOULD CONTACT MINI CUSTOMER RELATIONS AT 1-866-275-6464.